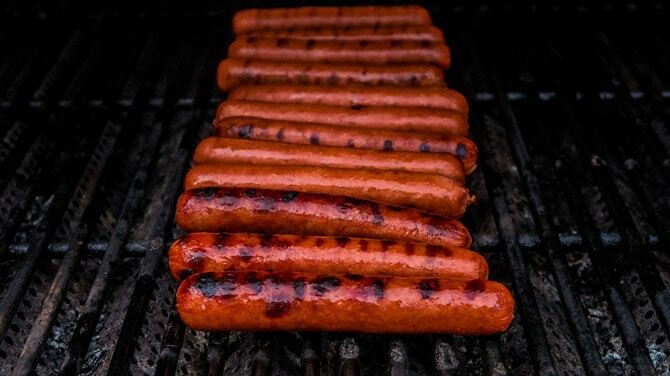 Is there a better backup bbq meat than hot dogs? If you are faced with fussy eaters or a sudden lack of good quality white meat or steak cuts, then hot dogs are a surefire backup to get you out of a spot. Furthermore, grilling them is easy. They’re always safe to eat as they come pre-cooked, and they’re difficult to overcook due to the high fat content in them. Anyone can do it. However, like with any kind of simple recipe it’s much better if you really know what you’re doing. So fire up your bbq grill: Here’s our our guide on how to grill hot dogs. Let’s start with meat. For grilling, just like with any kind of meat, it’s important to pick the right hot dog. A lot of people champion beef hot dogs over any other kind of meat, and we’re no different. They pack in a much bolder flavor, while also matching perfectly with all kind of classic hot dog seasonings and condiments. Whether you add garlic, mustard or ketchup, beef hot dogs can still stand up for themselves. 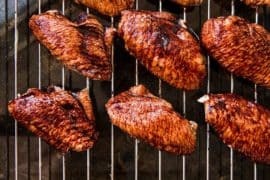 Other types do exist, like chicken, turkey and even quorn, so if you prefer to edge away from red meat then there are definitely adequate alternatives out there. A lot of people are well aware of there being cured and uncured meat, but many are unaware of the exact differences between the two, and what this means in terms of nutrition and flavors. Curing is fairly standard for specific types of meat, particularly ham, and is also present in the hot dog industry. Essentially, cured hot dog meat is made with sodium nitrite. This helps extend the shelflife of meat, staving off forms of bacteria. However, not everyone is a fan of these additives in their food, so for a healthier alternative I like to go for the uncured variety. This is a choice we’ll leave to you people broadly fall on to either side of this debate. The majority of hot dog meat you find on the shelves will be uncased. This is where the meat is cooked in a synthetic shell which is then removed before being packaged. Contrastingly, shelled hot dogs are much harder to find. However I’d argue that they are worth the extra effort to find. When cooked they have a satisfying snap to them which only adds to the superb hot dog flavor. So with the two different hot dog types in mind, here are ways to grill them for each. 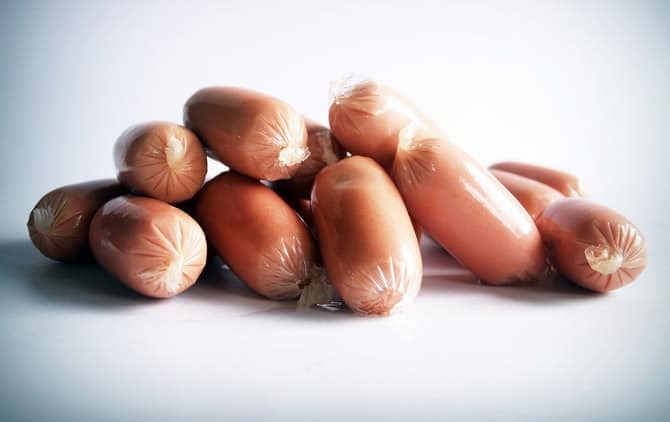 Because of the absence of a case on these kinds of hot dog, they don’t retain moisture or fat as well as their cased counterparts, meaning that they dry out quite quickly and are significantly blander. The way around this is to slash them. This requires making some light slashes along the body of the hod dog prior to putting them on the grill. Once being booked on the grill these slits will open up, allowing the heat to reach the inside of the sausage quickly. This cooks the sausage faster, preventing it from going dry around the edges. This should help them retain much more of their flavor, giving you a much more satisfying sausage. Cased hot dogs require a different approach to their skinless friends altogether. The problem with cased hot dogs lies in that while the cases retain heat and moisture, preventing them from drying out, they can actually lead to the sausage exploding. 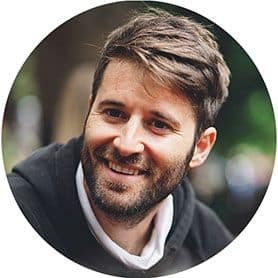 To get around this, we need to employ a bit of indirect grilling. A lot of people who employ indirect grilling do so for fresh, high-quality meat. But let’s not let that put us off using it for our hot dogs. 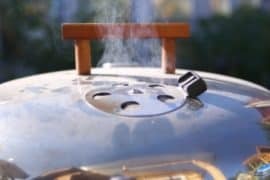 In simple terms, this involves creating two heat zones along your grill: One with the coals stacked immediately below it (direct grilling), and one with none (indirect). With this in mind, we recommend cooking the hot dogs in the indirect zone until they reach an internal temperature of 150°F (66°C) before then searing over direct heat to cook the outside. If done right, this should cook your cased hot dog perfectly without bursting it. It’ll be juicy throughout, with a beautiful snap and char to it. How do you grill your hot dogs? Do you prefer skinless or natural casing? What toppings do you like? Let us know in the comments below!